Every now and again on Crochet Divas, we will be featuring our favourite free crocheting video tutorial, to help you improve your skills! There is a multitude of information available at our fingertips online, to help us improve our crochet skills, but of course you need to sift through a lot of information and websites to find it. Our aim here, is to showcase the best tips, tutorial, free classes and of course, to also highlight patterns which are available to download for free. Today we’re showcasing a video tutorial created by Yarnspirations, which I am sure is a familiar name with many of you. At Yarnspirations you can find various tips, patterns, guides, as well as a one stop shop to purchase crochet tools, books and yarn. 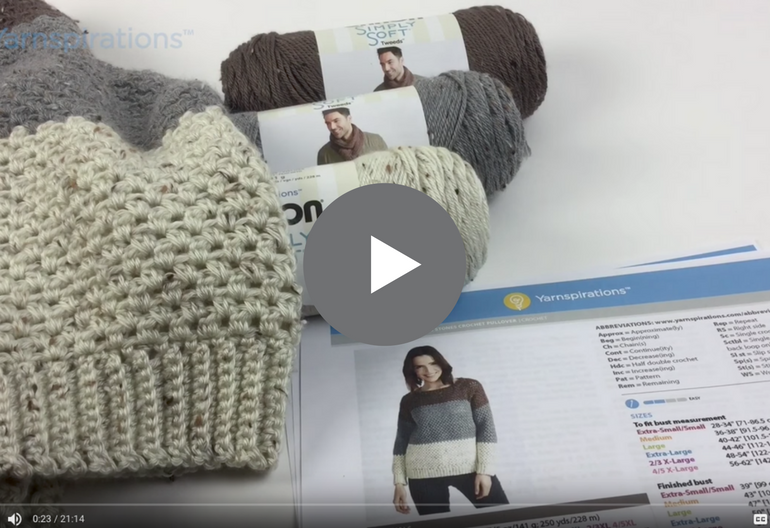 The video we’ve chosen to highlight today demonstrates to us how to crochet the Stepping Stones Pullover, a pattern designed by Caron, and which is available to download for free, by clicking here. The three-tone tweed sweater is an easy and fun project to make, be it as a gift to yourself, or to someone else! In the video is is crocheted in Caron Simply Soft Tweeds, the same yarn you know and love now with an on-trend, natural tweed look. This yarn is perfect for all your projects with beautiful drape and sheen that Simply Soft® is known for. 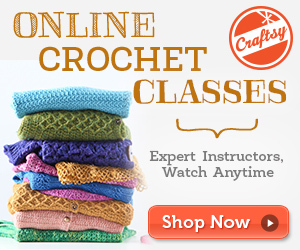 This is an easy to crochet pattern, ideal for beginners. Furthermore, it provides sizes from Extra Small/Small up to size 4/5 X-Large. This crocheting tutorial is provided by Yarnspirations, the website to go to for all your crochet needs!